All vendors, whether they be farmers or processed food vendors, must abide by our policies. Please read them before applying. 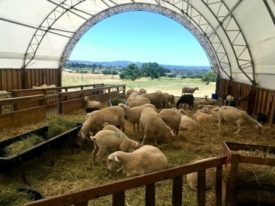 The Ecology Center operates three Certified Farmers’ Markets in Berkeley each week. All products sold at our farmers’ markets are grown by the farms that sell them. The Ecology Center Farmers’ Markets are well-established markets, and we are loyal to our long-term vendors. Therefore we rarely have openings. However, we keep all applications on file and review them when openings occur. In accordance with the Ecology Center and Ecology Center Farmers’ Markets mission, we are committed to supporting small-scale farmers who practice sustainable agriculture. Our markets are mostly organic and the Thursday market is 100% organic. Regardless of a farm’s organic certification status, all genetically modified varieties of crops and the use of the pesticides Methyl Bromide or Methyl Iodide are banned from our markets. 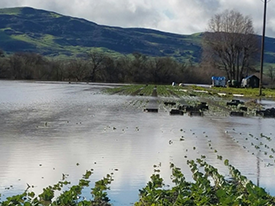 California farmers with a valid Certified Producers Certificate are welcome to apply to our markets by downloading the Farmer Application or filling out our Digital Farmer Application. In addition to the Certified Farmers’ Market area of our markets, we have an adjacent area where processed food items—such as baked goods, pickles, and hot-lunch food—are sold. All the processed food items in our Markets are made by local purveyors and align with our primary focus of promoting sustainable farming. 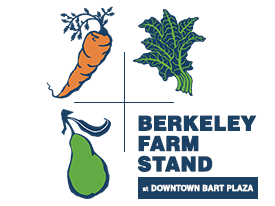 To this end, we require prepared food vendors to use at least 80% organic ingredients or ingredients purchased from farmers that attend the Berkeley Farmers Markets. To view our strict processed food criteria and apply to our markets, please download our Processed Food Application or fill out our Digital Processed Food Application. The Ecology Center Farmers’ Markets do not allow the sale of crafts and other non-food items at our regular weekly farmers’ markets. The 2018 Farmers’ Market Winter Crafts Fair will be held on Saturday, December 8th, Saturday December 16th, and Saturday, December 22, 2018 from 10am to 3pm. The application for the 2018 Crafts Fair is now open. Submit applications by October 13, 2018. Please read the Environmental Guide for Crafts before submitting an application. We will also be handling applications for crafts vending at our first Salsa Festival Here, Applications Due June 13th, 2018. The Ecology Center Farmers’ Markets do not allow tabling at our weekly Farmers’ Markets, but we do allow them at special Farmers’ Markets events: Family Fun Fest, National Night Out, Salsa Fest, Dia De Los Muertos and Holiday Crafts Festivals. The application for the 2018 year is now open. Submit applications by one week before event desired.